My entire life I have believed the lie to “stay busy” and viewed rest as laziness. I believed the lie that rest is weakness, but it wasn’t until I experienced a torn ACL, that God physically sat me down. In this time of sitting and resting, God showed me something beautiful – that I am enough, just for being me and not because of the things that I do. Learning to rest in God’s presence is by far the most fulfilling and rewarding thing that God showed me in this time. God used something that this world views as unfortunate into something that I would consider now a blessing. Do not get me wrong, tearing my ACL was not fun and it was hard. And yet, through this process of waiting and resting in the Lord each day, He sat in it WITH me through it all. And while I rested with God, he began to reshape my understanding of who I am. God graciously taught me that volleyball is not WHO I am, it is just something that I DO because He allows me to do it. This passage reminds me that I cannot do this thing called “life” without the Lord. Walking through my injury was hard, but it would have been impossible if The Lord had not been speaking so much truth to me. I need Him in every circumstance. When I am at my lowest points, I want to give God the glory because I will boast in those weaknesses, showing others that I have a God who will take care of it all. After tearing my ACL, God showed me that I used to put my identity in sports and the things that I did. He taught me that volleyball is not who I am, but that I am a daughter of God first. When I returned back to school, I had a new role on my team. God opened my eyes and heart to see that I could serve my team in so many ways and remind them of the truth that I had learned and believed about myself. I wanted to help my teammates understand that they are daughters of the king first and then they are volleyball players. 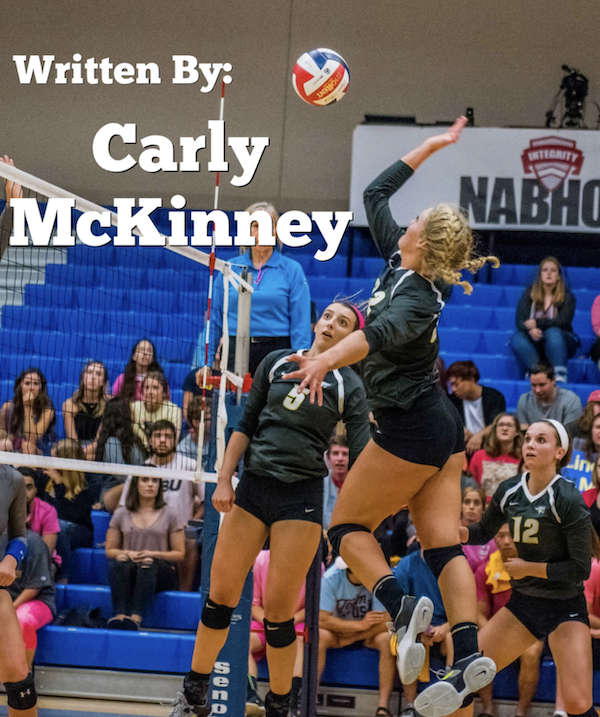 This summer I did an internship with FCAV and we learned what it meant to use the sport of volleyball as a form of worship and how can we incorporate playing WITH God on the court. I can honestly say, that I am beyond thankful that God used this injury in growing me closer to Him and shining His glory in all of it. God grew me in desiring the value of REST and for me to realize how important rest is for our bodies both physically and spiritually. Do not believe the lies of this world that tell you to “stay busy” but instead look to God and find rest in Him. Hi FAM! I am currently a junior at John Brown University where I play volleyball. I am studying to be a teacher at the elementary school level. I am passionate about many things – being with people, the outdoors, and staying active are just a few. It is important to me to grow in relationship with others and I love when that can happen in God’s beautiful creation. In staying active, I enjoy going on hikes, being at the beach, or playing games with people.